Today’s tour is packed with great locations, incredible views and natural wonders. So, sit back and relax while your Driver Guide provides expert commentary on all the key landmarks along the way. 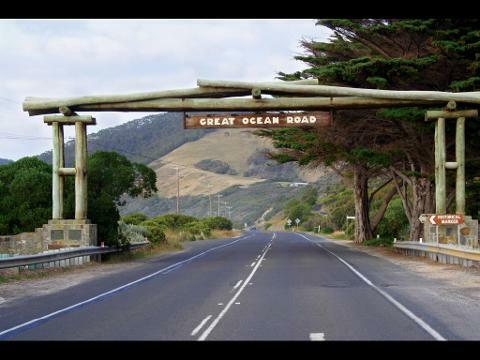 The Great Ocean Road stretches for 243 kilometres along the stunning southeastern coast between Torquay and Warrnambool. An Australian National Heritage listed road, it was built by returned soldiers between 1919 and 1932. 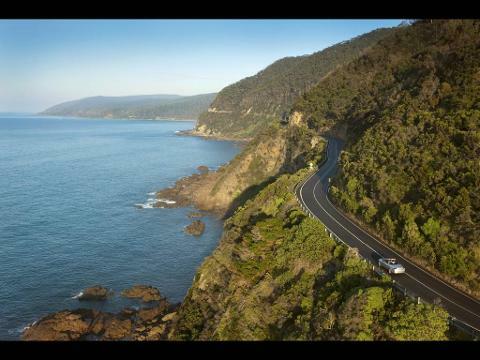 The road winds through gorgeous terrain along the coast and leads you to many significant landmarks and natural wonders. 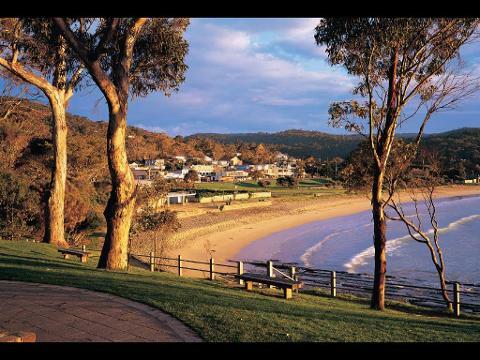 At the foothills of the Otways lies the gorgeous seaside village of Apollo Bay. 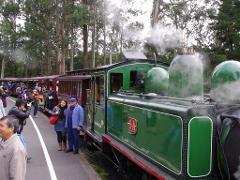 Surrounded by rolling green hills and ocean, Apollo Bay is a lively holiday destination during summer. Here you can relax and treat yourself to lunch at one of the many cafés and restaurants, or you can join us at the Apollo Bay Hotel (own expense) to enjoy some great food and local hospitality. The rugged splendour of the approaching Twelve Apostles is just breathtaking. These incredible limestone rock formations up to 45 metres high are the result of erosion that began up to 20 million years ago. Your Guide will share the history of their fascinating evolution while you take in the great spectacle of this natural wonder. If you find you can only count 8 Apostles and not 12 – test your Driver Guide’s knowledge as to why!! 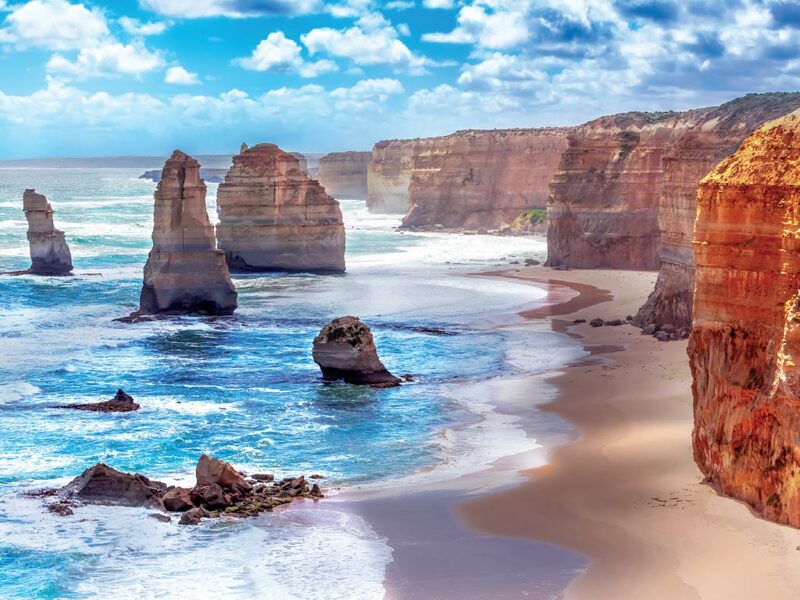 There are many walks around the location of the Twelve Apostles providing closer access to the shoreline. From the cliff top viewing area you can absorb the grandeur of this iconic site and take some photographs. 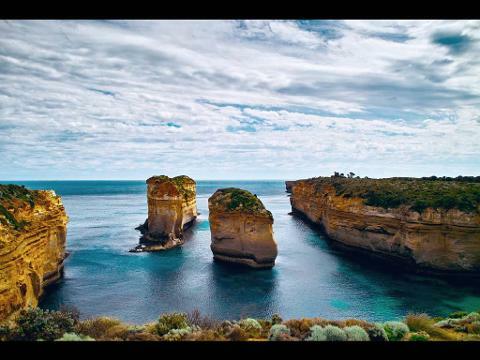 Now you will visit the beautiful Loch Ard Gorge and learn of the ill-fated English ship ‘Loch Ard’ that ran aground on nearby Muttonbird Island in 1878. The ship sank within 15 minutes, taking with it all but two of the 54 passengers and crew on board. The survivors came ashore and found refuge at what is now known as Loch Ard Gorge, a striking example of the process of erosion. Now you can take a well earned break at the gorgeous little seaside village of Port Campbell. Sheltered by cliffs and Norfolk pines, this little haven has a colourful and lively personality. You can treat yourself to afternoon tea at one of the cafés or bakeries luring you to homemade treats (own expense). You can also enjoy a wander through the boutique stores and galleries – there’s plenty here to tempt you. › Fancy an optional helicopter flight over the Twelve Apostles? Pick Up Points: Please select while booking the tour. If your accommodation is not listed, we will pick you up from a convenient point. Please provide your accommodation details in 'Special Requirements'.